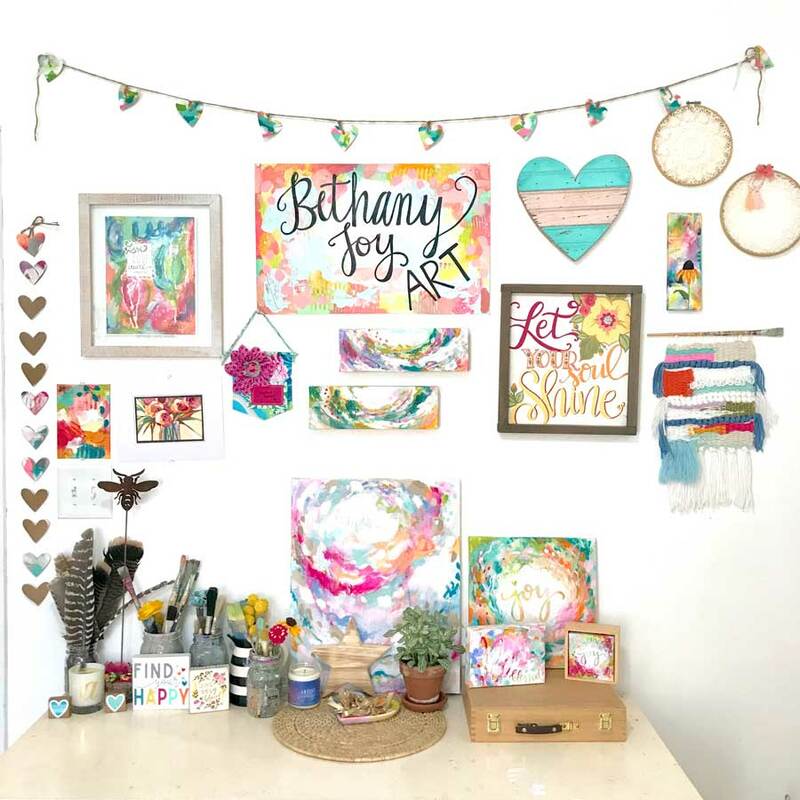 Bethany Joy is a mixed media, abstract painter, focused on spreading joy through art. 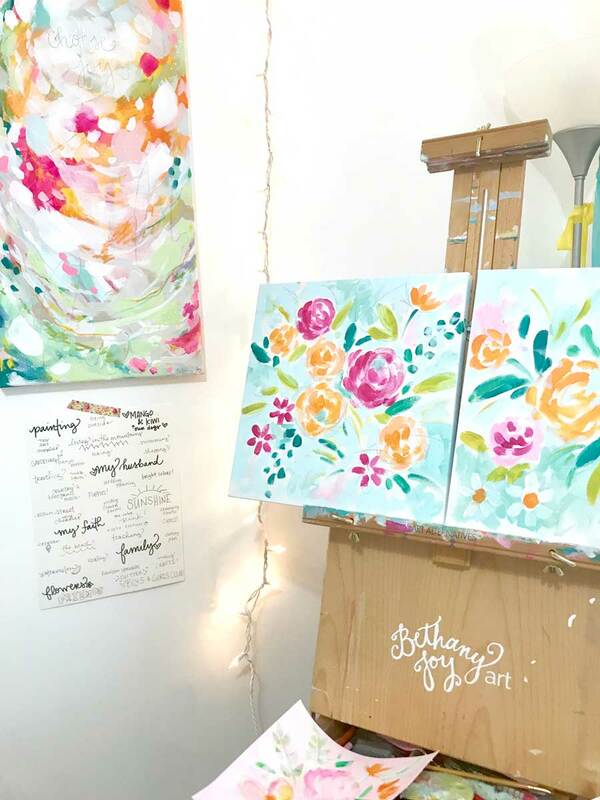 Bethany expresses joy through painting vibrant abstracts, flowers, and inspirational quotes. 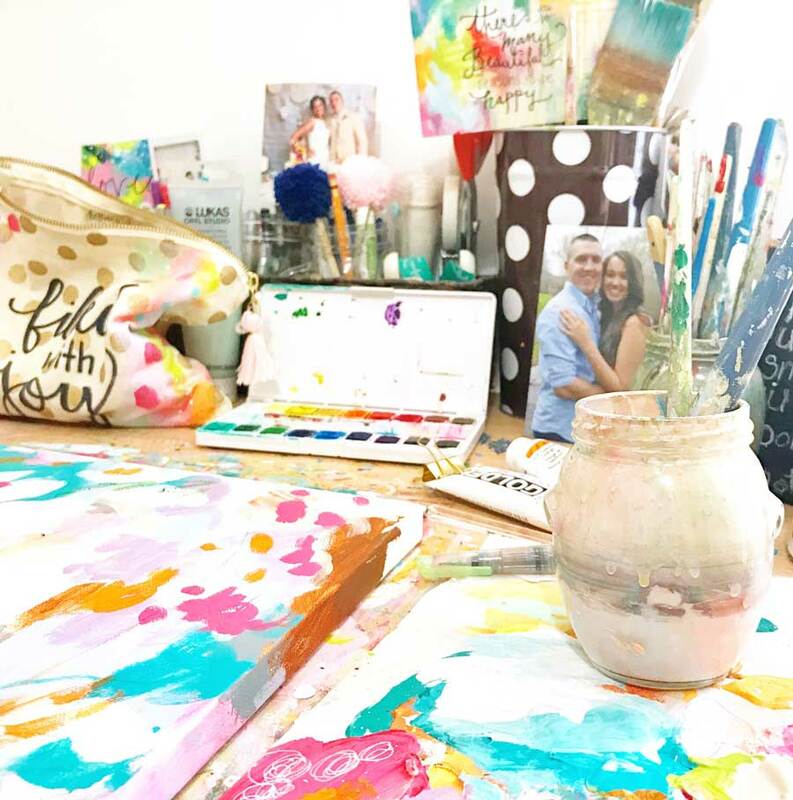 She mainly creates with acrylic paint; however, loves experimenting and adding pastels, watercolors, oils, and other materials within her paintings to add different textures. Bethany and her husband and their two puppies live in the beautiful mountains of western North Carolina where she works from her home studio on her art business and at their local Boys and Girls Club as the Art Director. “Joy: a feeling of great happiness; a success in doing, finding, or getting something; a source or cause of delight.” I talk about joy a lot. 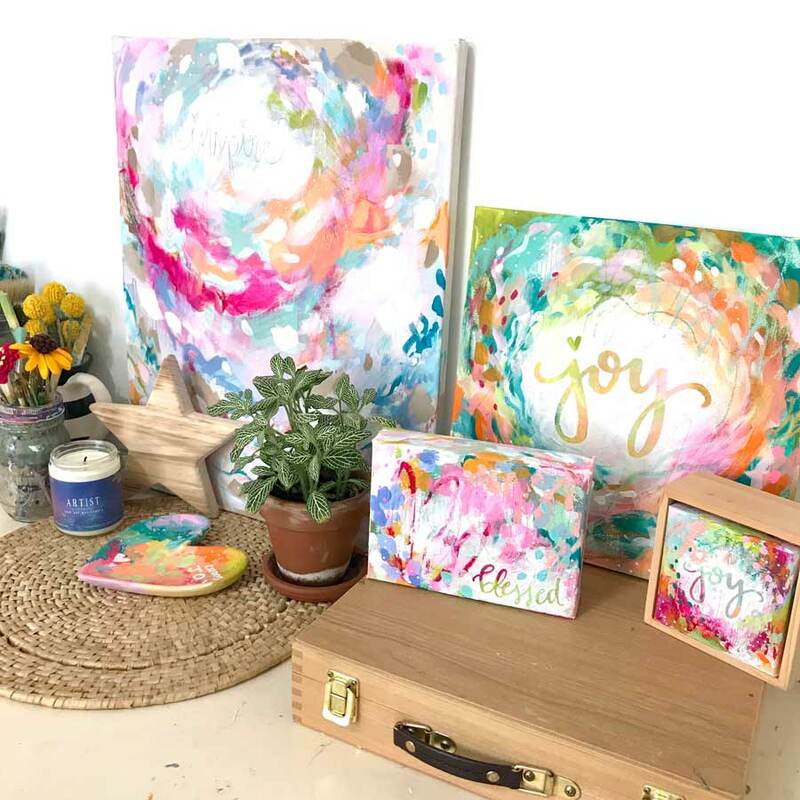 My creative business revolves around joy. Not just because my middle name happens to be Joy, but because I believe in creating joy and sharing that joy with others. Let’s start with a little backstory. My mom was adopted as a baby by two wonderful parents who wanted her life to be full of joy! Adoption is oh so beautiful, bringing happiness, a sense of wonder and new beginnings to a family. My mom brought my grandparents so much joy, and they set out to fill my mom’s life with the same joy by naming her just that, Carla Joy. Later in life, my mom decided to continue that gift of joy by naming me, Bethany Joy, and I will be forever grateful! Now, it is my mission to extend and pursue this gift through my creative gifts, and I believe you can do the same. How, you may ask? Well, your middle name certainly doesn’t have to be Joy to do this. My personal, joy-filled philosophy is to Gather, Share, and Connect. That’s not to make it sound easy by any means. Creating and sharing joy is a tough yet rewarding job. As makers, artists, and creatives, we have the unique opportunity to express our journey through this process. In this phase, it’s important to collect as many moments, words, things, etc. that bring YOU a feeling of happiness. What makes you enjoy life most? 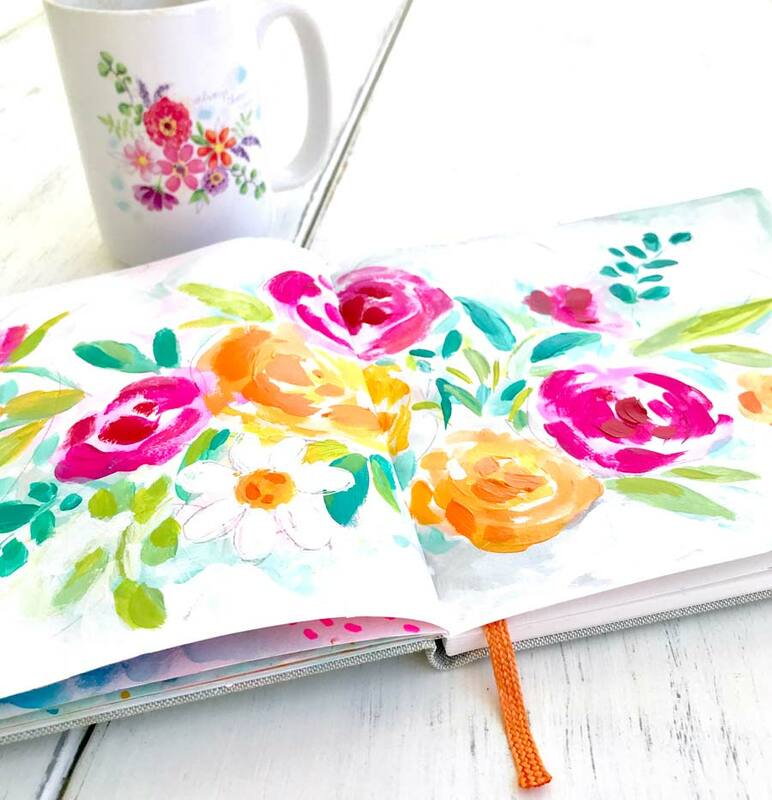 What brings a moment of bliss to your day? What puts you in a better mood? For me...that’s spending time with family, painting outdoors, picking and arranging flowers, hiking, seeing my students succeed, having a devotional time, playing with our puppies, trying new art supplies, enjoying Oreos, watermelon, bright colors, bluegrass music...the list goes on! Now, make a list of ALL your “joys.” Write them down in your best handwriting and hang them in your studio or somewhere you spend a lot of time. 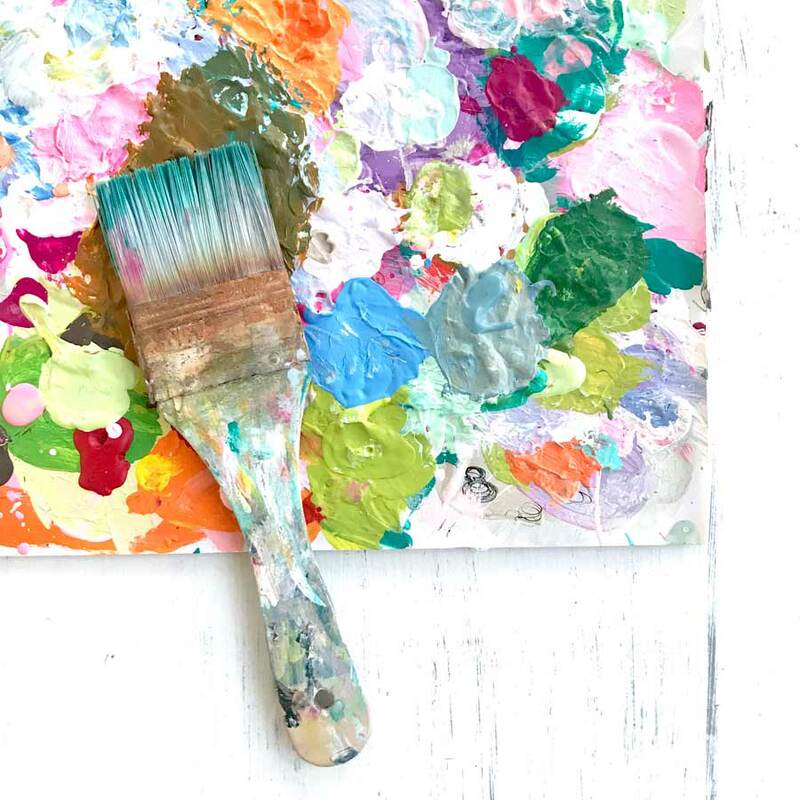 Let these things inspire you to create your best work! Do, think, experience these things as much as you can. Yes, life is tough. But someone wise once told me that “misery is optional”, and that is why you need all these joys. This step is what makes us creatives unique. Why create beautiful paintings, scarves, blankets, mugs, jewelry, photographs, greeting cards, etc. if it doesn’t bring you AND others joy? That’s what the “o” in joy stands for, you know...others! Yes, it can be absolutely overwhelming to share your joy. Putting yourself and your creations out into the world is a daunting task. You may wonder if people will judge you or your works of art. Maybe you’re scared that what you share may not be widely popular or accepted by others; however, the reward that comes from sharing is much sweeter than any of your worries. You have an opportunity to reach lots of people with your joys. If you reach ONE person and help them along their journey, I promise this step will be worth it and not as scary anymore! There’s a reason why people say, “sharing is caring” (I remind my students at the Boys and Girls Club this all the time), and that is how much impact small acts of kindness, and you guessed it…joy, can have on a person. Share joy through positive social media posts, give compliments, send “happy” mail, say thank you, spend quality time with loved ones, give gifts, and just share in so many ways! Sharing joy gives others a chance to connect with you in a way that isn’t available until you put your joys out into the world. That brings us to the last part of this journey of joy, Connect. Life can be lonely, especially the creative entrepreneur life if you’re often working by yourself. Connecting with others is a positive result of sharing your joy, both for you and those you share it with. Often, creatives have the mindset that we can do things on our own (at least I have that mindset at times); however, it is important to remember that it is totally okay to ask for help. Having like-minded people and cheerleaders around will help keep you motivated. You return the favor by motivating others with your joy while helping them find theirs. Welcome people into your creative process. I’m sure it will help both of you thrive! Now that I’ve used the word joy just about a thousand times, I hope you’re feeling ready to share your joy. Joy is contagious, friends, and that is the beauty of creating and sharing it! 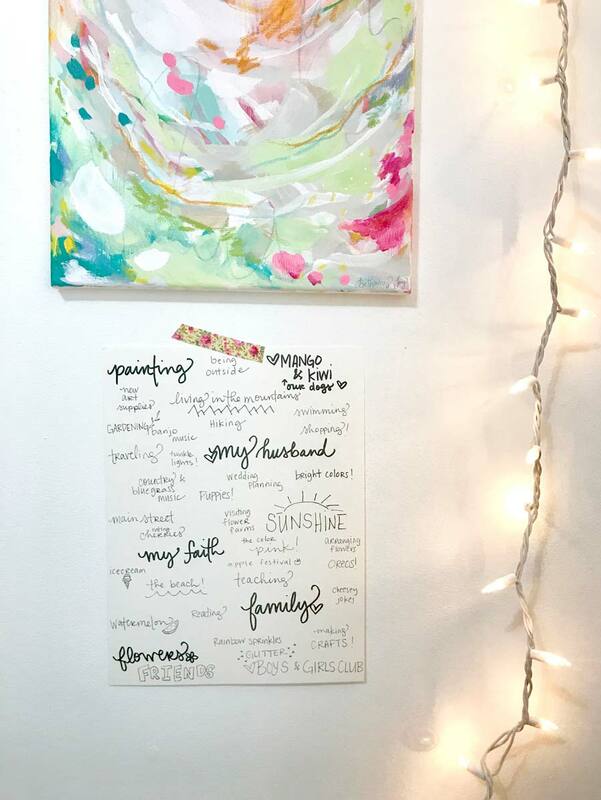 You can find my vibrant, inspirational art at www.bethanyjoyart.com and www.bethanyjoyart.etsy.com. 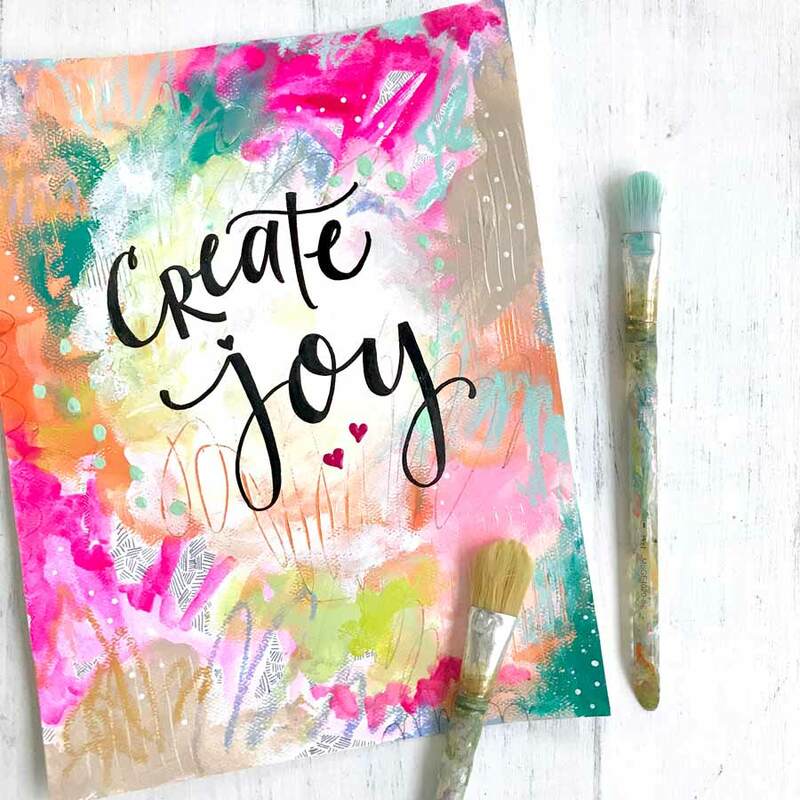 In fact, I just released a special art print in my shop today to compliment this blog post, titled “Create Joy” that I hope will inspire each of you!